So the house is settling down a little. We are getting into more of a routine with our additions. Meet our second Invest Hope child, Mardochee. She is a smart, articulate 13 year old who takes in everything around her. 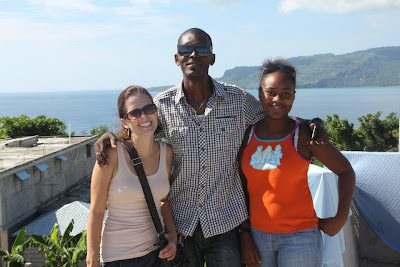 I first met Mardochee in 2011 when I was working with Angel Missions Haiti. She has a debilitating eye disease called Retinitis Pigmentosa. She just got back from being in the states on a medical visa for the past year. Mardochee's family here in Haiti and her host family in the states were looking for a school for her here in Haiti that would work with her special needs so that she could continue her education. 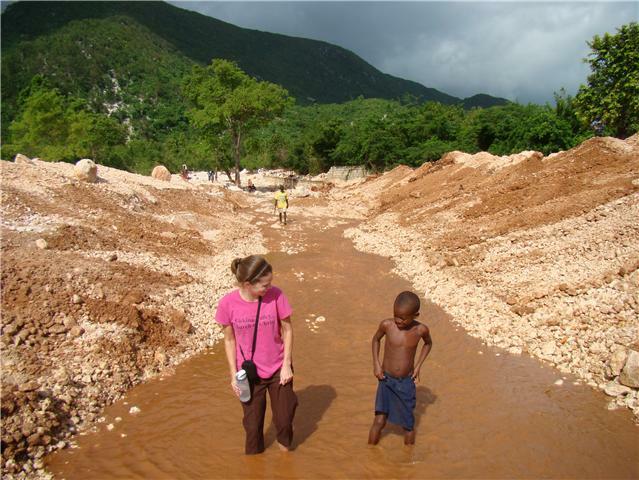 She had not been in school in Haiti for quite some time due to her low vision. LEKOL SEN TRINITE accepted Mardochee as a student in their program. She just needed a family here in Jacmel to work alongside those providing her education. Here is a pic of me, David and Madrochee on the roof of the school building.